Adrian Murray, West Coast Property Management. Take the hassle out of managing your rental property by letting West Coast Property Management do the heavy lifting for you. 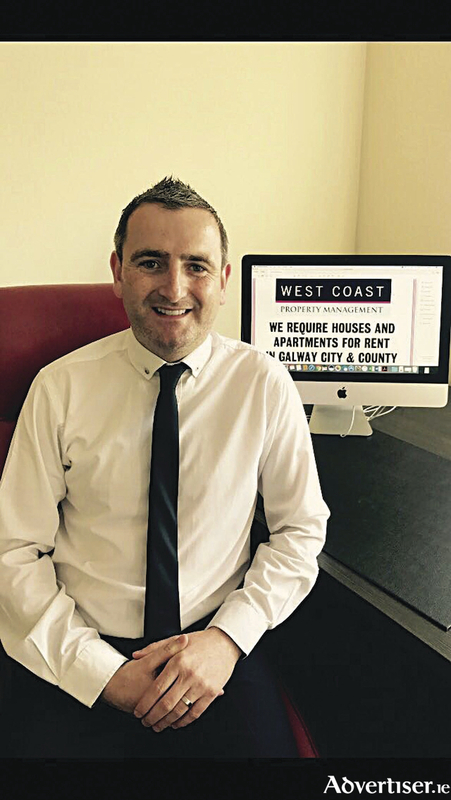 West Coast Property Management is a family-owned and operated business with years of experience in the Galway housing and apartment rental market. The professional team can handle all aspects of managing your property, from finding reliable tenants to taking care of maintenance. The company offers workable solutions, delivered to the highest standards. West Coast’s management team are available seven days a week. “We ensure expenses are minimised for any maintenance," said Adrian Murray from West Coast Property Management. "We have a team of highly skilled and experienced tradesmen to carry out all works, and we also offer the option of using your own tradesmen." Get in touch with West Coast Property Management to find out what the company can offer you. Benefits of choosing this professional property service include a free rental valuation of your property, along with free advertising to vetted tenants. In fact, the company operates all its services on a no let, no fee basis. With competitive fees and a fast turnaround for vacant lets, the company can arrange viewings seven days a week, including outside office hours. West Coast Property Management can find fully vetted, reliable, tenants for you, and you can also choose your own tenants for your property. The team at West Coast Property Management are fully up to date on rental laws, offering you peace of mind. Along with taking care of rental agreements with tenants, the business owners will also liaise directly with tenants on your behalf, and ensure rent is paid on schedule.